come up with a mission statement that matches the expected outcomes. It should also be possible for the employees to see and measure these outcomes. Business owners should understand that software development outsourcing process cannot be successful if the objectives are not in alignment with the mission statement and the expected outcomes. 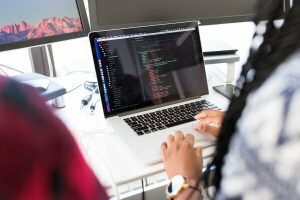 Outsourcing software development projects can sometimes be unsuccessful if the internal employees do not cooperate with the software projects outsourcing agents. During the project, these agents might need some information in order to complete the tasks that they have been assigned. If the company works do not engage the third parties, the completion of the project might become impossible. 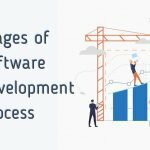 Every organization that carries out a software development outsourcing project has objectives that it wants to achieve, through a third party. This means that for the contractual relationship to be maintained, the outsourcing company must take the right actions to meet the expectations of the hiring company. Sometimes, these expectations might not match with the actions because the expectations are unrealistic. Companies should have reasonable expectations that can be easily achievable to ensure that the software development project is achieved successfully. There are cases when the outsourcing provider might be under qualified. If you are thinking of outsourcing your software development activities and you find that the outsourcing partner that you want to hire is not properly investigated, you should know that the team members might not have the skills and qualifications required to complete the project. Before agreeing to work with an outsourcing company, you should consider checking its certificates, the training of the members and their industrial and functional experience. Building your software with the help of an outsourcing company can also be unsuccessful due to unfocused leadership. 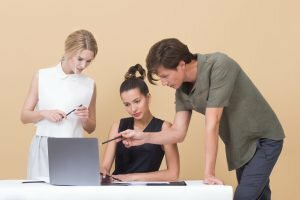 Yes, you might have hired partners with the right knowledge, skills, and experience but the leaders are not giving the right attention to the project. For example, they might not be willing to put the extra efforts to ensure that the relevant business needs are addressed. 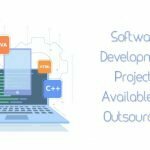 The main reason why companies outsource software development projects is to take advantage of other capabilities that their IT employees do not have. Since you are already in business with the outsourcing vendor, it means that you are now working towards a common goal, and their success is your success. For the project to be successful, the hiring organization should have a covenant versus contract mindset. You should understand that the role of the third parties in every project is to provide goods and services in exchange for money. 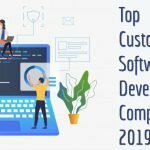 However, custom software developers might be different and they need to have a covenant with the business owner to struggle towards achieving a common goal. Sometimes, the company might be the source of the risk. For example, if the software development project has bad execution processes, outsourcing IT services might not be the solution. In fact, it might create more problems and end up choking down the project. To avoid this issue, the company and the outsourcing vendor should clearly understand the roadmap and the methods being applied in the project and use them fluently. The success of every project is based on good communication. Software development projects are not different. The members of the project team need to come together and talk about the processes and the collaborative technologies needed to complete the software development outsourcing project successfully. Technical debt is where a company has a pool of needs that can only be addressed through technology. For example, they might be using old software versions that cannot support applications. This debt can affect the firm in different ways and the company has to meet these needs in order to stay competitive. There are times when the approach the company uses to address this debt is ineffective. However, this risk can be addressed by using thorough ways. The company must be aware of outsourcing software development pros and cons and then determine the use of the assistance that outsourcing partners provide. Sometimes, the company does not recognize the software solution elements in order of their importance. This is a risk that can interfere with software development outsourcing. The organization needs to know the elements that are more important than others. It could be capability, functionality or components. Every business leader needs to understand that technology is an investment for a business opportunity. Therefore, they should not consider outsourcing software development as an expense. To get the best out of the project, they need to avoid or mitigate the above risks. If you have any software outsourcing projects available, you should consider contacting Osbay. This company is one of the best worldwide because it offers quality software development outsourcing services at an affordable price to any customer all over the world.